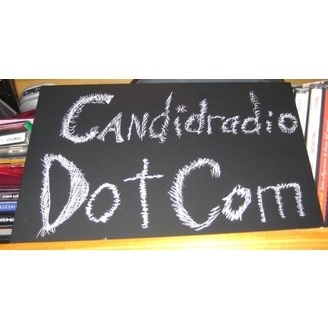 CandidRadio.com with Zman and Littleflurry, what happens when 2 creatively outspoken liberals try to find their way in an uptight ultra-conservative town located in rural IL. Think small town with a church every other block meets George Carlin but with more jokes. This podcast is for mature audiences and shouldn't be considered worksafe, unless you work at a whorehouse or you have a good set of headphones. Listen to us rant and be a part of our show by calling us. Click here to listen On this show, We almost get run over, Nebraska, How little flurry and Zman differ in the ways they chose to relax after a long day at work Quite a bit about Shedd Aquarium, How to have fun after eating a Bloomin Onion, People who don't know how to get on an elevator, We'll be an Aunt and Uncle again soon, and much much more, email us at candidradio@gmail.com Also follow us on Twitter, search for Candidradio Also on Facebook search for Candidradio.